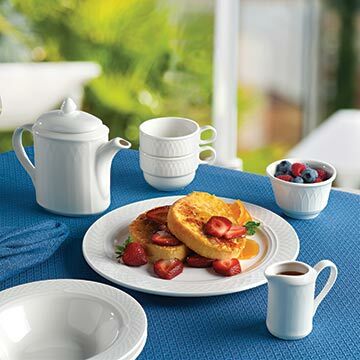 Homer Laughlin's Kensington China dinnerware is where tradition meets contemporary style and elegance, bringing sophistication to your tabletop. The pure white body style and subtle, yet intricate embossed design enhances presentation and compliments your culinary creations. Kensington is an excellent choice for fine dining, senior living and upscale casual environments.